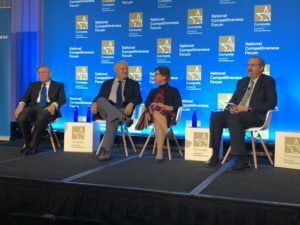 From left to right: Nicholas Pinchuk, Chairman and CEO of Snap-on, Inc.; William Goldstein, director of the Lawrence Livermore National Lab; Rebecca Blank, chancellor of the University of Wisconsin-Madison; and Mark Schlissel. 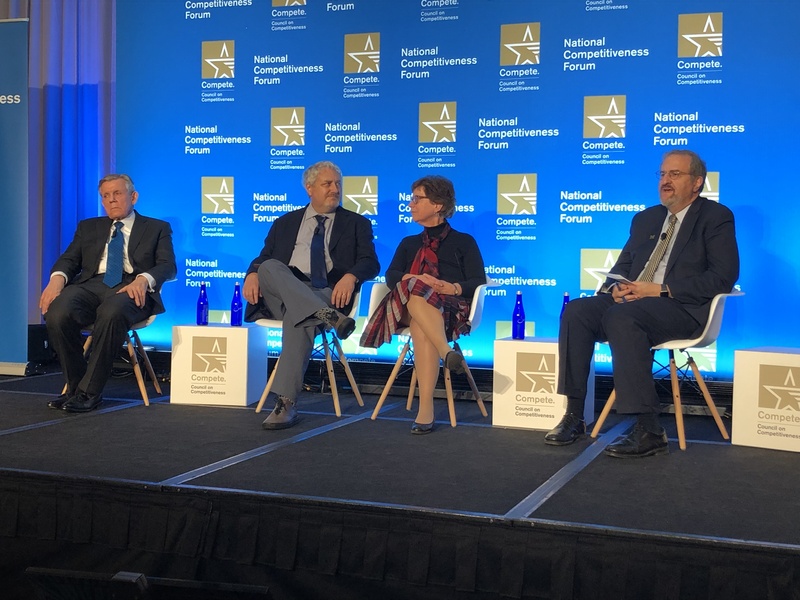 On Wednesday, November 28th President Mark Schlissel moderated a panel at the Council on Competitiveness annual meeting. The panel discussed how the US can continue its leadership in advanced manufacturing. Representatives from higher education. National labs, and corporations spoke about the importance of this issue. Universities can help drive American economic competitiveness through partnerships with industry, labor and national labs. Today’s @CompeteNow panel considered how we can work together to strengthen our economy and increase our nation’s future prosperity. President Schlissel is a member of the Council on Competitiveness executive committee.